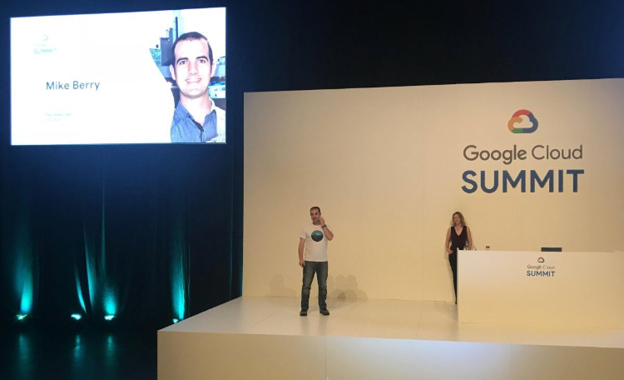 We heard from Emma Grey and Mike Berry from ANZ in Australia on how they are leveraging Google technologies to manage data and enhance their Service Reliability processes. This is proving that Google products are being successfully adopted to transform not just the smaller businesses but at the Enterprise level too. PWC have also adopted G Suite to help them collaborate better and promote flexible ways of working as an organisation. In May 2018 Google acquired Velostrata, the cloud migration specialist. Velostrata provide a set of advanced tools to aid enterprises in moving infrastructure to the cloud. The core product is a tool to accelerate migrating VMWare based servers to the cloud. Having worked extensively with Kubernetes for the last 3+ years, it was awesome to see the K8s conversation becoming so mainstream. When Kubernetes is working well it slips into the background and allows teams to focus on business needs. Istio brings a service mesh across Kubernetes and offers a toolbox for making services more resilient, more controlled and more open to change. Bain Hollister is back from Boston!